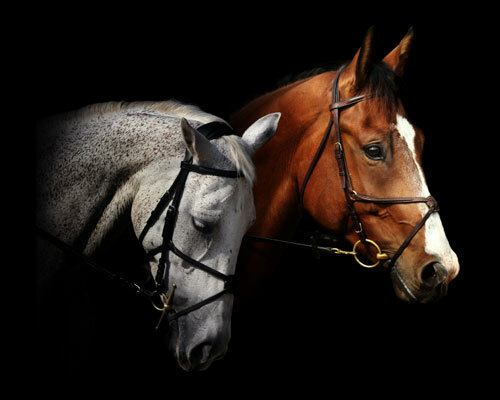 The heads of two dressage horses seem to float on a black background. Both horses are wearing dressage bits and bridles. A gray horse with a collected profile is in the foreground, while a chestnut horse with a large blaze exhibits a more relaxed posture in the background.